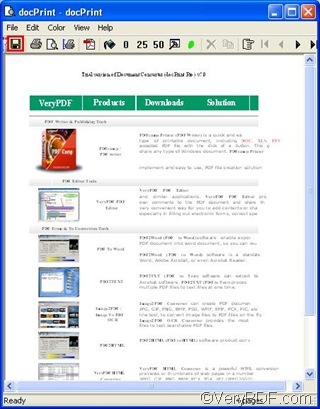 ← How to convert the 3rd page of pdf to png? 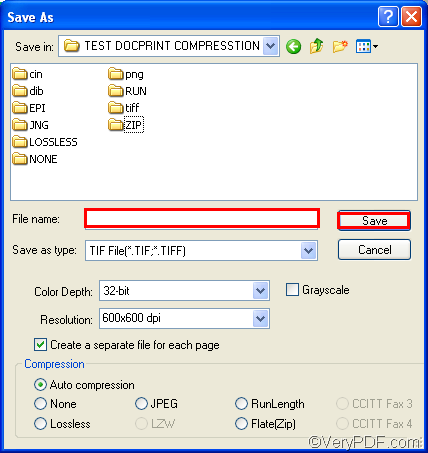 TIFF, the full name of which is Tagged Image File Format, is a file format for storing images. TIFF allows for a flexible set of information fields and a wide range of different compression schemes and color spaces. It is popular among graphic artists, the publishing industry, both amateur and professional photographers in general. 1 Open the document you want to convert from Word to TIFF in MS Windows. 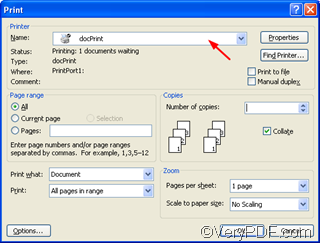 In the the docPrint dialog box, you can preview the effect of printing. If you want to convert more than one document from Word to TIFF, you can repeat the first three steps to add them one by one to the former document. 5 Specify TIFF File (*. TIF, *. TIFF) as the output type in the Save as type combo box. Then, the Word documents can be converted to TIFF files. 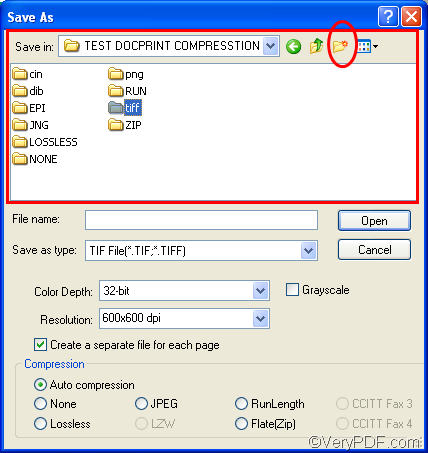 Meanwhile, I suggest you to maintain the little green tick in the check box of Create a separate file for each page, because it is better for you to view the content preserving from Word to TIFF image files. 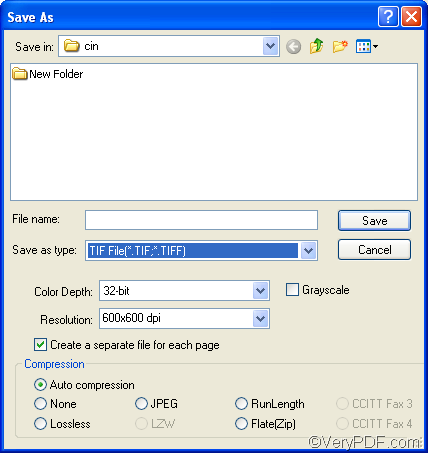 6 Select a directory in the Save in combo box and list box to store the outputting file in your computer. If you want to create a new folder, you can click the second button on the right of Save in combo box to create a new folder and click Open to open the new folder. 7 Type the name for the outputting file in the File name edit box. If there are more than one TIFF files, the computer will generate new names for the TIFF files based on the name you typed in the File name edit box. For example, if you type “Hi”, then, the name of the first TIFF file will be “Hi0001”, the second TIFF will be named as “Hi0002”. 8 Click Save to start converting and store the TIFF files in your computer. 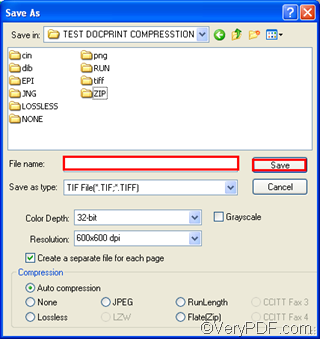 Now you have know how to convert Word to TIFF via VeryPDF docPrint. 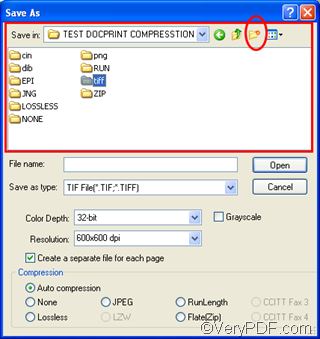 If you want to learn more about how to convert documents to image files, you can visit VeryPDF knowledge base, and read more articles at http://www.verypdf.com/wordpress. If you want to download and try more products of VeryPDF, you can visit http://www.verypdf.com. 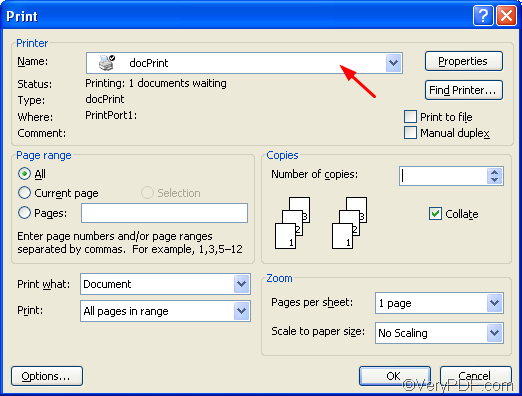 How to delete page number in docPrint preview application? How to convert Word to PDF and set PDF owner password via command line? This entry was posted in docPrint Pro and tagged VeryPDF docPrint, Word to TIFF. Bookmark the permalink.